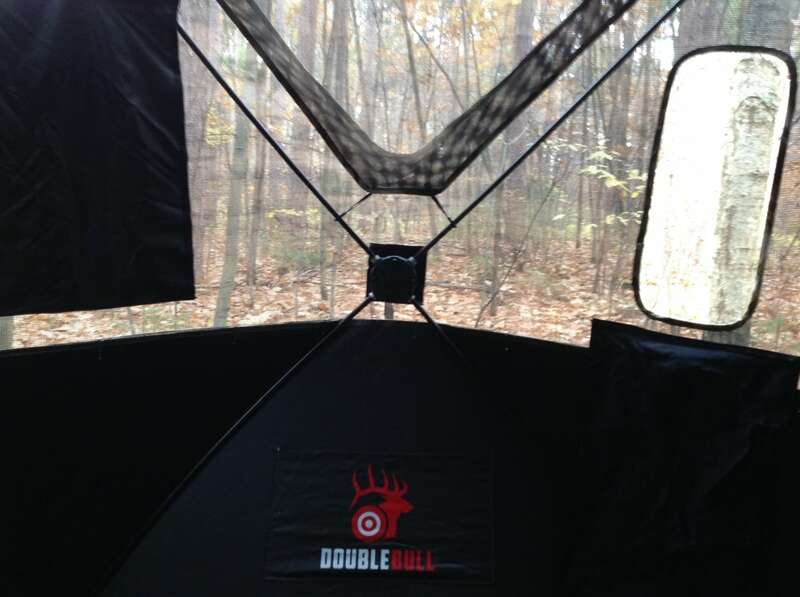 Most hunters make use of a ground blind at one time or another. The struggle with such a device, however, is finding the right balance of visibility and concealment. You want to be able to see animal movement but without exposing too much of yourself. The new Surroundview line of blinds from Primos attempt to grant hunters an open view while also keeping them concealed. All the features that hunters have come to know and enjoy in Primos’ long line of Double Bull blinds rolls over to the SurroundView, including quick pop-up Power Hub walls. The idea of shoot-through camo mesh is not new, but Primos takes that technology to the next level with one-way see-through walls. In the case of our 180-degree model, there are two see-though walls and two-blacked out, with a total of seven shoot-through ports and three max-view openings. 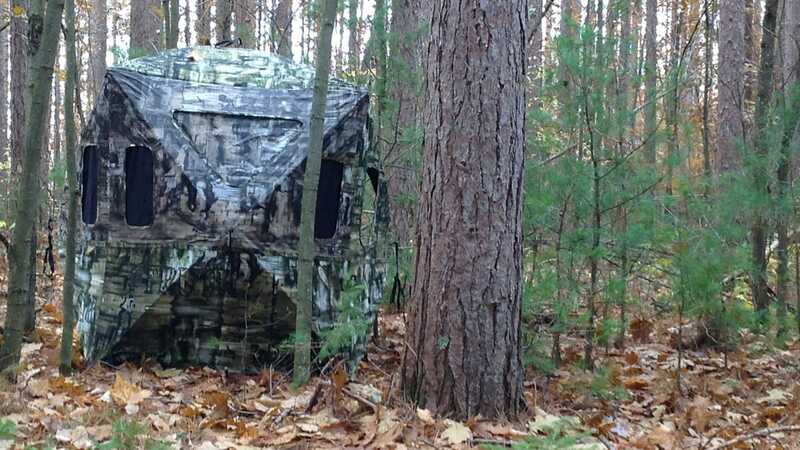 TRUTH camo is intended to hide the blind in a wide variety of terrains. Dimensions on our test SurroundView 180 are 48x48x65 inches and priced at $349.95. Like our test 180-degree model, the upgraded 270- and 360-degree versions work the same way, but each grants an extra “wall” of viewing material in place of blacked out panels. Hunters who back their blinds up to unshootable thickets will do well with the 180, but those place their blinds in a location that may allow shooting lanes on all sides will want to pony up the money for either the 270 or 360, both of which get progressively larger in both size and price for $479.95 and $599.95, respectively. While it’s initially a bit of an uneasy and exposed feeling at first to see so much and so clearly when sitting in a ground blind, you quickly realized you’re well concealed as squirrels, turkey, and a nosey young deer wandered past the blind even with significant movement inside. The SurroundView fabric does its job with no problem. The only nitpicky issue, which is minor, Primos includes four sturdy tent stakes, but eight are needed to properly secure the blind from the hubs. 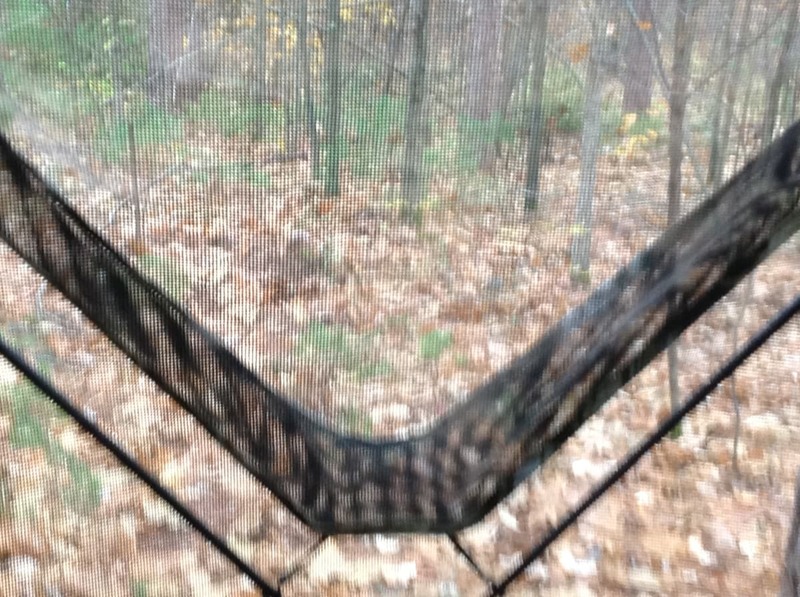 All told, the Primos Surroundview blind is a win for hunters. Buyers should consider exactly what model – and how many see-through walls – they need before making a selection from the new lineup.